One person's cast-offs are another's treasures. 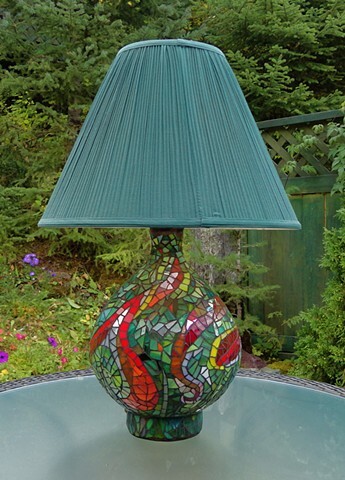 My mother was getting rid of two pot-bellied lamps--after they were moved around my house for awhile, and almost were sent to a thrift shop--it dawned on me they would look great covered with stained glass. And now, this one is part of our home. Not for sale.